Drink For A Cause In NJ! Lacuna Loft > Advocacy + General About > Behind the Scenes > Drink For A Cause In NJ! Live anywhere near New Jersey and want to drink for a cause? 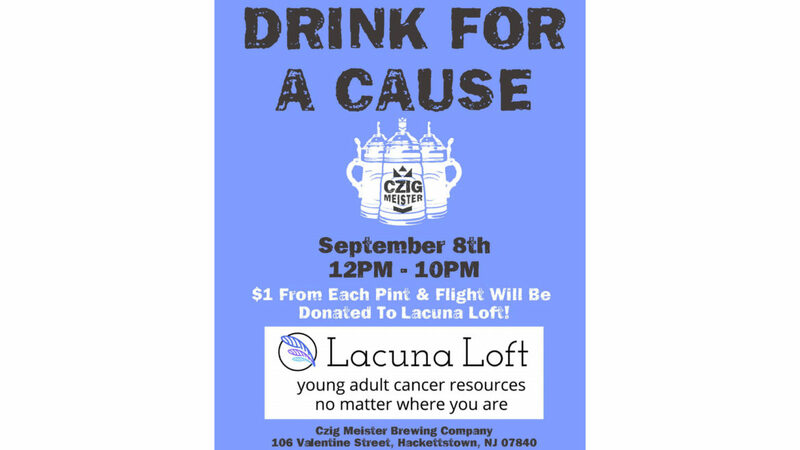 Check out Czig Meister Brewing Company’s event on September 8th from noon until 10 pm benefiting Lacuna Loft! $1 from each pint and flight will be donated directly to Lacuna Loft to fund our programs for young adult cancer patients, survivors, and caregivers! Psst! Interested in fundraising for Lacuna Loft? Email mallory@lacunaloft.org! Join The Next Workshop To Help Lacuna Loft!